Draft: 2010, New York Yankees, 13th rd. Christopher Tyler Austin...Twitter: @T1721Austin...Instagram: @taustin2121...graduated from Heritage High School (GA)...supports and raises awareness for the Sean Kimerling Testicular Cancer Foundation...was diagnosed with testicular cancer at age 17...in September 2017, hosted a "Day of Joy" with then New York Rangers captain Ryan McDonagh, providing hospitalized children with brightly-colored "Superhero" gowns at New York's Hospital for Special Surgery in support of the Joy in Childhood Foundation... participated in 2018-19 Twins Winter Caravan. doubles, six home runs, 14 RBI and a .525 slugging percentage...Traded to Minnesota from New York-AL on July 30 for RHP Lance Lynn...optioned to Triple-A Rochester...Played nine games for Rochester, hitting .263 (10-for-38) with two doubles, one triple, three home runs, and eight RBI...Recalled by Minnesota August 10 and spent rest of season with Twins...Tied his career-high with three hits on August 18 vs. Detroit, (also September 27, 2016 vs. Boston)...Had three multi-homer games on the season: March 31 at Toronto, May 20 at Kansas City, August 26 vs. Oakland...Ranked tied for sixth among AL rookies in home runs Post-All-Star Break (9)...Set career-highs in games (69), at-bats (244), runs (34), hits (56), doubles (10), home runs (17), RBI (47) and walks (19). Saw his first Major League action, hitting .241 (20-for-83) with 7R, 3 doubles, 5HR and 12RBI in 31 games (20 starts at 1B, 2 in RF and 1 at DH) in his only stint with the Yankees (8/13-10/2). All five of his career HRs have been hit to right field at Yankee Stadium…four of those homers have given the Yankees the lead and the other tied the game…his team-leading four game-tying or go-ahead HR in the seventh inning or later were tied for fourth in the AL and tied for ninth in the Majors. Hit his first home run in his first career Major League at-bat on 8/13 vs. Tampa Bay (back-to-back with Aaron Judge), his second homer on his 25th birthday on 9/6 vs. Toronto, and his third was a "walk-off" on 9/8 vs. Tampa Bay…according to Elias, is the first player in the Modern Era (since 1900) to homer in his first at-bat, homer on his birthday and a hit a "walk-off" HR within his first three career home runs. Made his Major League debut in 8/13 win vs. Tampa Bay, hitting solo HR in the second off Matt Andriese and going 2-for-4 with 1SB…the HR came in his first career PA, becoming the fourth Yankee in franchise history to accomplish the feat (also John Miller, Marcus Thames and Andy Phillips)…was the first of back-to-back HRs with Aaron Judge (who also homered in his first PA)…with Judge also making his Major League debut in the game, became the first duo in Major League history to each homer in their Major League debuts in the same game…there had been just one other game in Baseball history in which two players each hit HRs in their first Major League at-bats, but they were on opposing teams (Brooklyn at Philadelphia on 4/19/38 - the Phillies' Emmett "Heinie" Mueller and the Dodgers' Ernie Koy - both in the first inning)…became the first pair of Yankees to make their Major League debuts as starters in the same game since C Johnny Ellis and CF Jim Lyttle on 5/17/69 vs. California…was signed to a Major League contract and selected to the Yankees' 25-man roster from Triple-A Scranton/Wilkes-Barre prior to the game. Hit seventh-inning, go-ahead two-run HR and was 1-for-2 with 1BB in 9/6 win vs. Toronto…came on his 25th birthday, becoming the first Yankee to homer on his birthday since Alex Rodriguez on 7/27/15 at Texas…was the second Yankee, 25-or-younger, to homer on his birthday since 1972, joining Eduardo Nunez on 6/15/11 vs. Texas (24th birthday). Collected his first career "walk-off" hit, a solo HR with two outs in the ninth on 9/8 vs. Tampa Bay…became the 10th rookie in Yankees history to hit a "walk-off" HR and the first since Melky Cabrera in the 11th inning on 7/18/06 vs. Seattle (credit: Elias)…was one of nine Major League rookies (10 times) to hit "walk-off" HR in 2016 (fifth in the AL)…was the first Yankee to hit a "walk-off" HR within his first three career HRs since Bubba Crosby's third career HR defeated Baltimore on 9/19/05. Hit game-winning two-run HR in the seventh and was 3-for-3 in 9/27 win vs. Boston, setting a career high in hits…hit game-tying solo HR in the seventh and was 2-for-4 with 2RBI in 10/1 win vs. Baltimore. Was defensive replacement at 1B for Mark Teixeira in 10/2 loss vs. Baltimore, Teixeira's final Major League game…entered with one out in the seventh inning. Began the season with Double-A Trenton, batting .260 (46-for-177) with 22R, 10 doubles, 4HR and 29RBI in 50 games…was promoted to Scranton/WB on 6/4 and hit .323 (65-for-201) with 39R, 24 doubles, 13HR and 49RBI in 57 games with the RailRiders. Combined with Triple-A Scranton/Wilkes-Barre and Double-A Trenton to hit .240 (82-for-341) with 41R, 13 doubles, 2 triples, 6HR and 35RBI in 94 games…started the season with Scranton/WB and batted .235 (62-for-264) with 33R, 8 doubles, 4HR and 27RBI in 73 games…was transferred to Trenton on 8/7 and hit .260 (20-for-77) with 8R, 5 doubles, 2 triples, 2HR and 8RBI in 21 games. Was designated for assignment on 9/1 and outrighted to Trenton on 9/9. Following the season, played for Surprise in the Arizona Fall League, batting .272 (22-for-81) with 13R, 5 doubles, 3HR and 7RBI in 21 games…in eight games for the Águilas de Zulia of the Venezuelan Winter League, hit .280 (7-for-25) with 5R, 4 doubles and 4RBI. Spent the entire season with Double-A Trenton, hitting .275 (109-for-396) with 56R, 20 doubles, 9 HR and 47 RBIin 105 games…ranked among team leaders in runs (third), doubles (third) and hits (fourth)... Following the season, played for Scottsdale in the Arizona Fall League, batting .304 (21-for-69) with 2HR and 13RBI in 19 games... Was added to the Yankees' 40-man roster on 11/20/14. Played in 83 games for Double-A Trenton, hitting .257 (82-for-319) with 17 doubles, 1 triple, 6HR, 43R and 40RBI…was named a midseason Eastern League All-Star… helped the Thunder win the EL Championship by batting .304 (7-for-23) with 4RBI in the playoffs…also appeared in 4G with Scottsdale of the Arizona Fall League and hit .333 (4-for-12)…was tabbed by MLB.com's "2013 Prospect Watch" as the No. 3 prospect in the Yankees organization and the 68th-best prospect in baseball…was also ranked by Baseball America as the 77th-best prospect in baseball for the 2013 season. Combined to hit .322 (133-for-413) with 35 doubles, 6 triples, 17HR and 80RBI in 110G with Double-A Trenton, Single-A Tampa, Single-A Charleston and the GCL Yankees… led all Yankees minor leaguers in batting average for the second consecutive season, also ranking third in RBI and fourth in steals (23)… began the season with the RiverDogs, batting .320 (85-for-266) with 14HR, 54RBI, 22 doubles and 17SB in 70G… was promoted to Tampa on 7/3 and hit .321 (43-for-134) with 2HR and 23RBI…was promoted to Trenton on 9/2 and appeared in 2G (2-for-7)… was named to Team USA for the 2012 MLB All-Star Futures Game… was named a South Atlantic League midseason All-Star… following the season, was named the Yankees minor league "Player of the Year" and tabbed by Baseball America as the fourth-best prospect in the organization… was also tabbed by MLB.com's "Top 100 Prospects for the 2013 season" as the No. 75 prospect in all of baseball. Split the season between GCL and shortseason Single-A Staten Island, batting .354 (63-for-178) with 18 doubles, 6HR and 36RBI in 47G… also stole 18 bases without being caught… named by Baseball America as the eighth-best prospect in the NYPL. Appeared in 2G with the GCL Yankees (0-for-2, 2HP). April 8, 2019 Minnesota Twins traded 1B Tyler Austin to San Francisco Giants for LF Malique Ziegler. April 8, 2019 San Francisco Giants activated 1B Tyler Austin. 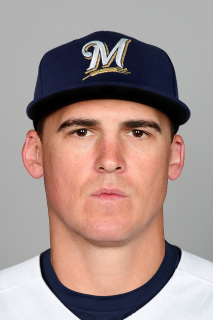 April 6, 2019 Minnesota Twins designated 1B Tyler Austin for assignment. August 10, 2018 Minnesota Twins recalled 1B Tyler Austin from Rochester Red Wings. July 31, 2018 1B Tyler Austin assigned to Rochester Red Wings. July 30, 2018 Minnesota Twins traded RHP Lance Lynn and cash to New York Yankees for 1B Tyler Austin and RHP Luis Rijo. July 7, 2018 Scranton/Wilkes-Barre RailRiders activated 1B Tyler Austin from the 7-day disabled list. June 29, 2018 Scranton/Wilkes-Barre RailRiders placed 1B Tyler Austin on the 7-day disabled list. June 15, 2018 New York Yankees optioned 1B Tyler Austin to Scranton/Wilkes-Barre RailRiders. May 1, 2018 Tyler Austin roster status changed by New York Yankees. April 27, 2018 1B Tyler Austin roster status changed by New York Yankees. March 29, 2018 New York Yankees recalled 1B Tyler Austin from Scranton/Wilkes-Barre RailRiders. March 21, 2018 New York Yankees optioned 1B Tyler Austin to Scranton/Wilkes-Barre RailRiders. October 23, 2017 OF Tyler Austin assigned to Leones del Escogido. October 22, 2017 Tyler Austin roster status changed by New York Yankees. October 3, 2017 New York Yankees reassigned 1B Tyler Austin to the minor leagues. September 5, 2017 New York Yankees recalled 1B Tyler Austin from Scranton/Wilkes-Barre RailRiders. August 26, 2017 New York Yankees optioned 1B Tyler Austin to Scranton/Wilkes-Barre RailRiders. August 17, 2017 New York Yankees recalled Tyler Austin from Scranton/Wilkes-Barre RailRiders. August 11, 2017 New York Yankees optioned 1B Tyler Austin to Scranton/Wilkes-Barre RailRiders. August 3, 2017 New York Yankees sent 1B Tyler Austin on a rehab assignment to Scranton/Wilkes-Barre RailRiders. June 29, 2017 Tyler Austin roster status changed by New York Yankees. June 24, 2017 New York Yankees recalled 1B Tyler Austin from Scranton/Wilkes-Barre RailRiders. June 24, 2017 1B Tyler Austin roster status changed by Scranton/Wilkes-Barre RailRiders. June 5, 2017 New York Yankees optioned Tyler Austin to Scranton/Wilkes-Barre RailRiders. June 5, 2017 New York Yankees reassigned 1B Tyler Austin to the minor leagues. May 26, 2017 New York Yankees sent 1B Tyler Austin on a rehab assignment to Scranton/Wilkes-Barre RailRiders. May 20, 2017 New York Yankees sent 1B Tyler Austin on a rehab assignment to Trenton Thunder. May 19, 2017 New York Yankees sent 1B Tyler Austin on a rehab assignment to Tampa Yankees. April 2, 2017 New York Yankees placed 1B Tyler Austin on the 60-day disabled list. Fractured left ankle. August 13, 2016 New York Yankees selected the contract of 1B Tyler Austin from Scranton/Wilkes-Barre RailRiders. June 4, 2016 OF Tyler Austin assigned to Scranton/Wilkes-Barre RailRiders. March 10, 2016 RF Tyler Austin assigned to New York Yankees. November 21, 2015 1B Tyler Austin assigned to Aguilas del Zulia. September 18, 2015 1B Tyler Austin assigned to Surprise Saguaros. September 9, 2015 New York Yankees sent IF Tyler Austin outright to Trenton Thunder. September 9, 2015 IF Tyler Austin roster status changed by Trenton Thunder. September 1, 2015 New York Yankees designated RF Tyler Austin for assignment. August 7, 2015 RF Tyler Austin assigned to Trenton Thunder from Scranton/Wilkes-Barre RailRiders. July 8, 2015 Scranton/Wilkes-Barre RailRiders activated RF Tyler Austin from the 7-day disabled list. June 28, 2015 Scranton/Wilkes-Barre RailRiders placed RF Tyler Austin on the 7-day disabled list retroactive to June 26, 2015. June 23, 2015 Scranton/Wilkes-Barre RailRiders activated RF Tyler Austin from the 7-day disabled list. June 14, 2015 Scranton/Wilkes-Barre RailRiders placed RF Tyler Austin on the 7-day disabled list retroactive to June 11, 2015. March 19, 2015 New York Yankees optioned RF Tyler Austin to Scranton/Wilkes-Barre RailRiders. March 19, 2015 New York Yankees reassigned RF Tyler Austin to the minor leagues. November 20, 2014 New York Yankees selected the contract of Tyler Austin from Trenton Thunder. September 3, 2014 Trenton Thunder activated RF Tyler Austin from the temporarily inactive list. August 28, 2014 Trenton Thunder placed RF Tyler Austin on the temporarily inactive list. May 10, 2014 Trenton Thunder activated RF Tyler Austin from the 7-day disabled list. April 24, 2014 Trenton Thunder placed RF Tyler Austin on the 7-day disabled list. April 8, 2014 RF Tyler Austin assigned to Trenton Thunder. January 29, 2014 New York Yankees invited non-roster RF Tyler Austin to spring training. August 31, 2013 Trenton Thunder activated RF Tyler Austin from the 7-day disabled list. August 28, 2013 Trenton Thunder sent OF Tyler Austin on a rehab assignment to GCL Yankees1. August 28, 2013 Trenton Thunder sent OF Tyler Austin on a rehab assignment to GCL Yankees2. August 27, 2013 Trenton Thunder sent OF Tyler Austin on a rehab assignment to GCL Yankees2. July 16, 2013 Trenton Thunder placed RF Tyler Austin on the 7-day disabled list retroactive to July 13, 2013. January 31, 2013 New York Yankees invited non-roster RF Tyler Austin to spring training. September 2, 2012 RF Tyler Austin assigned to Trenton Thunder from Tampa Yankees. July 25, 2012 Tyler Austin roster status changed by Tampa Yankees. July 23, 2012 sent OF Tyler Austin on a rehab assignment to GCL Yankees. July 6, 2012 Tampa Yankees placed OF Tyler Austin on the 7-day disabled list retroactive to July 4, 2012. July 3, 2012 OF Tyler Austin assigned to Tampa Yankees from Charleston RiverDogs. June 16, 2012 Tyler Austin roster status changed by Charleston RiverDogs. June 8, 2012 Charleston RiverDogs placed OF Tyler Austin on the 7-day disabled list. April 4, 2012 OF Tyler Austin assigned to Charleston RiverDogs from Staten Island Yankees. March 28, 2012 3B Tyler Austin assigned to New York Yankees. August 9, 2011 Tyler Austin roster status changed by Staten Island Yankees. July 26, 2011 Staten Island Yankees placed 3B Tyler Austin on the 7-day disabled list retroactive to July 22, 2011. July 15, 2011 3B Tyler Austin assigned to Staten Island Yankees from GCL Yankees. July 13, 2010 Tyler Austin assigned to GCL Yankees from New York Yankees. July 12, 2010 New York Yankees signed C Tyler Austin.